YAMAHA AVA5-160S STUDENT VIOLA 16"
Orchestra Instruments / AVA5-160S Yamaha Student Viola 16"
AVA5-160S Yamaha Student Viola 16"
Fully hand-carved, the AVA5's Spruce top, Maple neck, back & sides are seasoned & aged 5+ years. Solid Ebony fittings. Wittner™ tailpiece. Shop-adjusted by Yamaha-trained professionals to meet and exceed MENC standards. 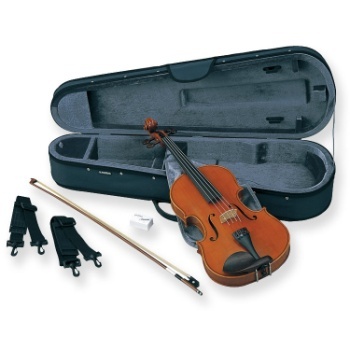 A Yamaha 5-year warranty covers any workmanship issues towards the instrument, bow and case.